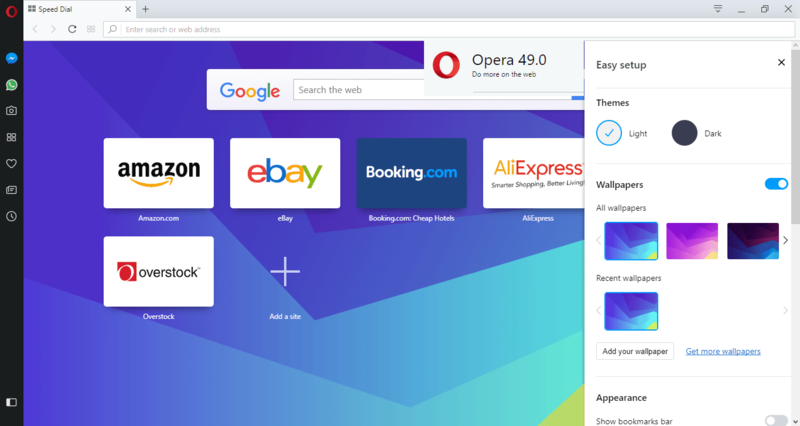 With the release of Opera 49 this month, users of the browser were given an array of new options. One important feature is the ability to play videos in VR mode on Oculus Rift and other OpenVR headsets. This is particularly useful on YouTube which has a library of 360 degree videos that is rapidly growing. 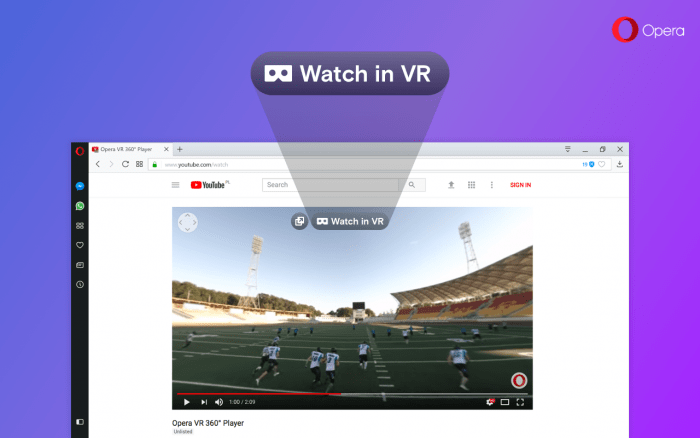 Opera 49 is the first web browser to include the VR feature for headsets directly into the browser. In doing so, the VR user will be able to sit back and enjoy the VR experience with just a click of a button. VR users usually have to download the videos first, before being able to view it on their OpenVR device. In addition to the VR support you can enjoy a really quick and painless setup menu. This feature is a work in progress and are ensured that it will only get better. With the editable screen capture tool, users are able to change to selfie-mode, access emoji’s and many other tools which can be moved and resized. Don’t forget the free VPN! This is a wonderful feature to include in a browser due to the increase of security and privacy issues that plague internet users. Most VPN services cost you money or at least leave you with a limited amount of free service each month. Speaking of which, check out this list of the best VPNs for Windows 10, if you’re planning on installing one. All these great features Opera provides its users and yet it is still ranked in 5th place for browser usage. Opera isn’t the most popular web browser in the world, but it seems to be heading in the right direction. If you have any comments or if you had any problems with the new version of Opera, please comment below.